Workplace wellbeing is becoming more and more valued in the hustle and bustle of today’s working life. This especially holds true for wellness savvy young professionals. 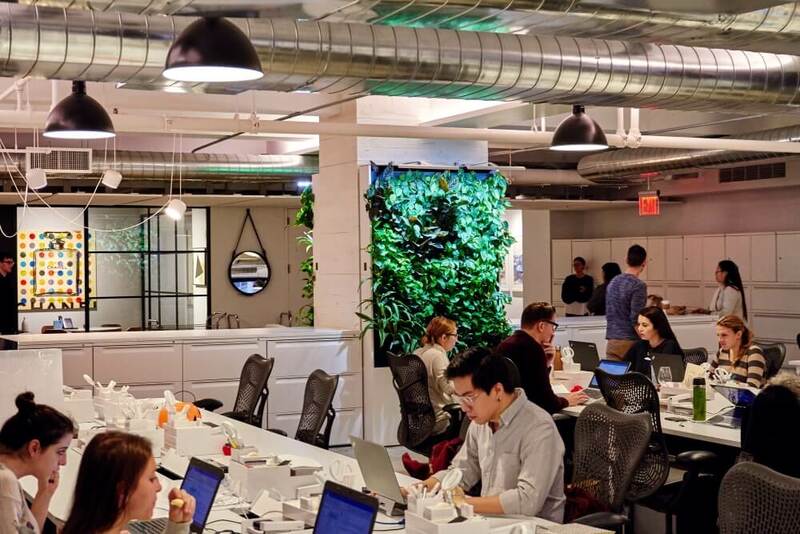 Besides providing healthy snacks and adjustable desks, what can we do to support the heart and soul of our businesses, the people? Nike Communications set out to discover new ways of achieving this goal. Nike Communications is a full service PR and communications agency, specializing in prestige and luxury brands. From media and influencer relations to social media and communications strategies, Nike Communications deals with some of the best brands in the world, many of which are in the wellness category. As the agency moved into their new office space, they decided to look for a different style of working. This time, they would set up shop in an open space, which would allow more collaboration instead of separation. After working in cubicles for over ten years, it was time to move into a fully open work environment where people could interact with each other better. 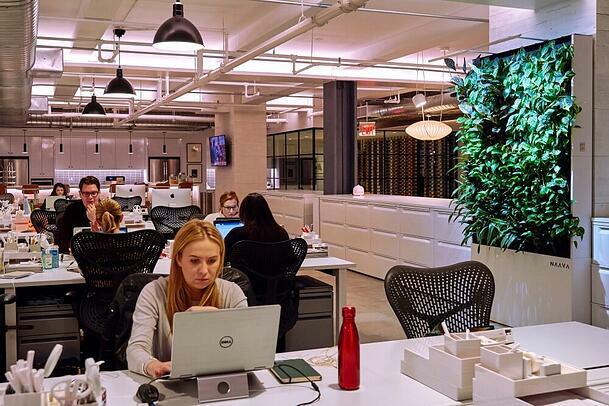 In addition to collaboration, wellness was another cornerstone of the new office space. In fact, Nike Communications set up a wellness program to support the health and wellbeing of the staff who work long hours on hectic schedules. “Wellness played a very important part in the quality of life we wanted to build for our staff here. It’s largely a millennial staff and they care a lot about wellness,” explained Nina Kaminer, President and Founder of Nike Communications. 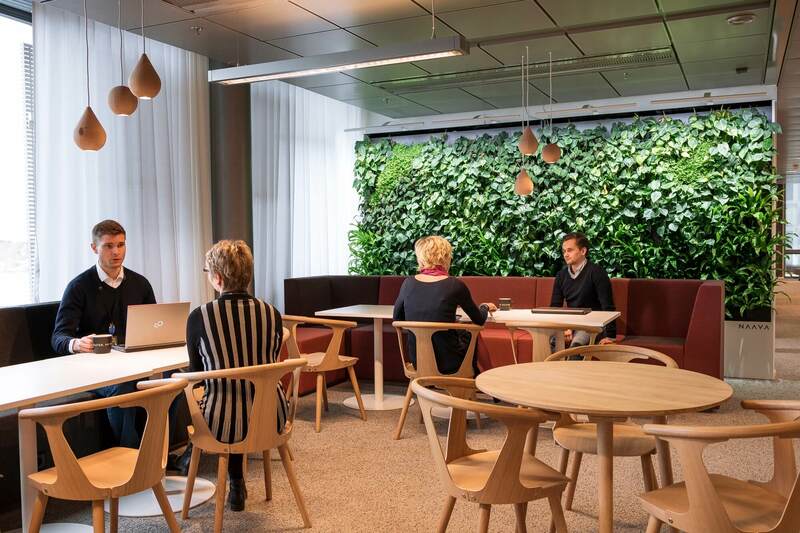 The solution for finding new ways of supporting workplace wellbeing was found in Naava. Now there are two columns of Naava, back to back, providing a living element which not only adds to a sense of wellbeing living in nature but also improves the air quality, both of which were important factors behind choosing Naava. 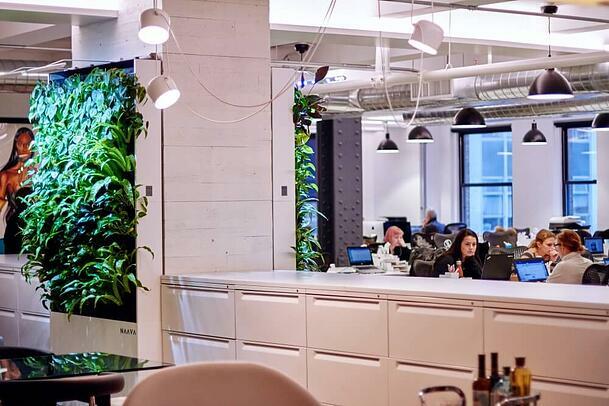 The centrally located office also meant that the people at Nike Communications didn’t often get to see nature during their days at work. This lack of greenery also inspired the change indoors. “I think one of the other attractions for us was our big belief in the healing properties of plants and the attraction of nature and what living in nature actually brings from stress reduction and quality of life,” Nina went on to explain. The minute you walk in through the front door, you see a Naava. Not only does it welcome in the staff but also the clients and everyone else visiting. On the other side of the smart green wall, there is another Naava facing every single desk of the office. The teams come and brainstorm in the fresh air of the lounge area. 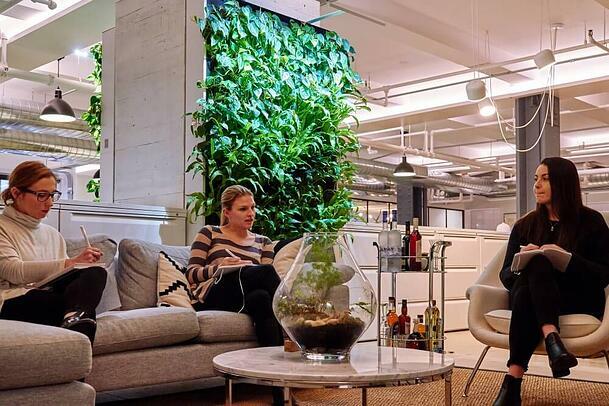 Nina says that the Naava smart green walls bring a certain sense of serenity. Teams often come sit down in the lounge area next to Naava whenever they need to brainstorm or when they need to get away from their desks for a moment of quiet. 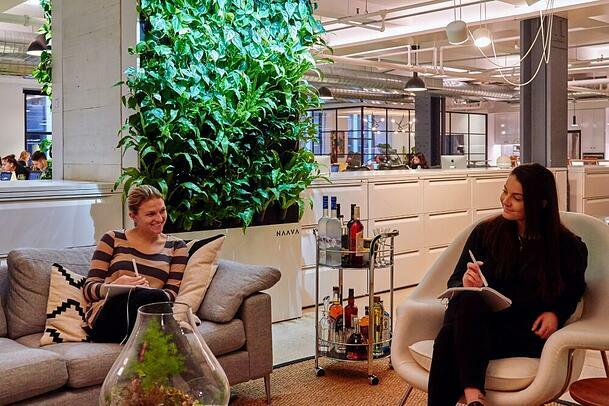 "This is a PR agency so it’s pretty stressful, I think that the natural element just brings a sense of calm to the agency that would not otherwise be here." According to Nina, some of the main factors sealing the deal were the variety of plants and the ease with which the plants can be swapped when needed, as well as the design of the unit itself. 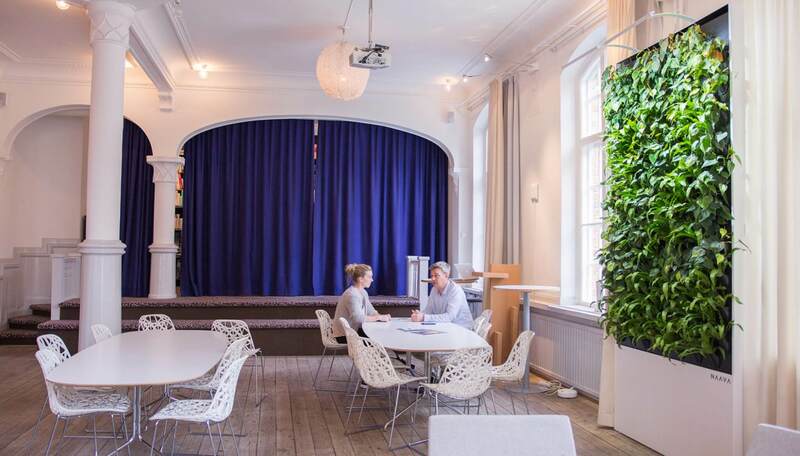 The modern, Scandinavian design fit the office like a glove. Nature has also been brought indoors with plants, such as deliriums and snake plants. “We have all sorts of different life here but they’re more accents than they are the central focus of our plant life here,” explained Nina. In addition to plants, there is also a plant-based diffuser, blending essential oils from different kinds of plants into the fresh air. Since the beginning of time, nature has been a big part of our lives. Thanks to our long-standing history with it, it still has a great impact on our health and wellbeing to this day. 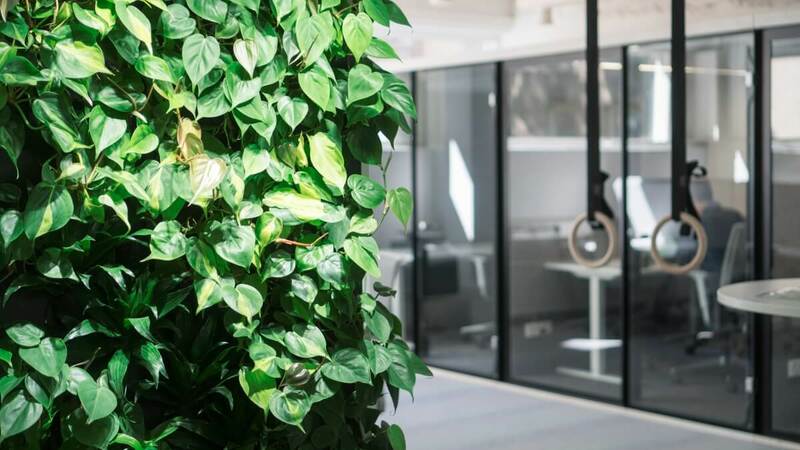 By incorporating bits and pieces of nature to the spaces where we spend most of our time in, we can positively impact our health, happiness and productivity at work. 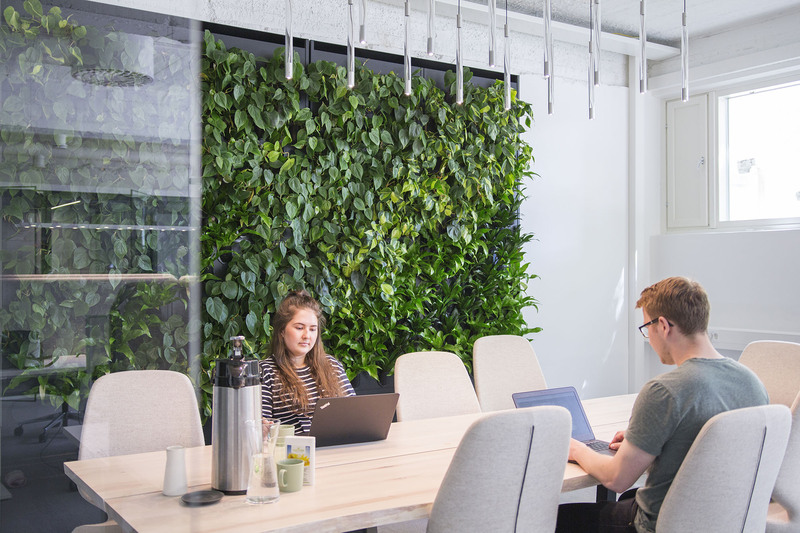 Find out more ways in which this can be done from our blogpost Biophilic design enhances wellbeing. We all know how challenging taking care of plants can be. When there are deadlines to be met and calls to be made, nurturing plants around the office is never the first thing on anyone’s mind. Plants, however, won’t thrive and survive without care. 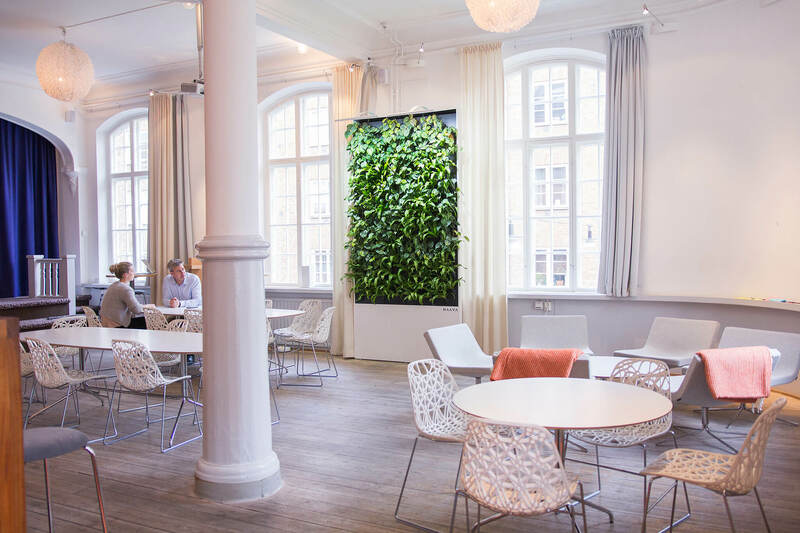 While Naava Service takes care of the wellbeing of the smart green walls, the people at Nike Communications can focus on what they do best. We at Naava acknowledged this issue and decided to offer a service to go along with the product. This way, the health and vitality of the biological air purifiers can be guaranteed. The service includes everything from nourishing and replacing the plants when needed to ensuring the automation works as it should. 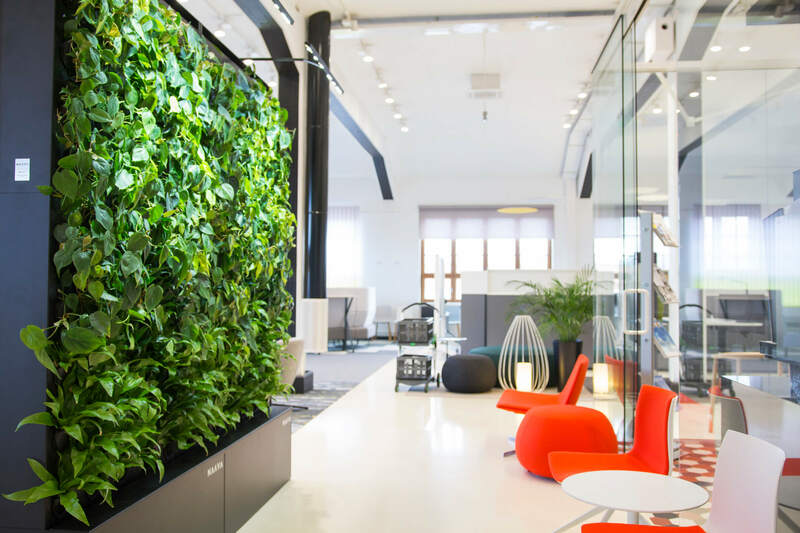 The Premium Service also includes refills of the water tank, making the upkeep of the smart green wall even easier on the client. “The Naava approach is very different. Naava sends someone and he comes in, checks out the plants and makes sure they are healthy and thriving. That’s really important because it’s not the kind of system that we’d do very well by trying to take care of it ourselves,” praised Nina. Interested in adding a new level of wellbeing to your workplace? Leave us a message and we will get back to you with fresh ideas on how to improve the general wellbeing and productivity at your office.